Now Orchestra Victoria, this orchestra was founded by the Australian Elizabethan Theatre Trust in 1967 to play for The Australian Ballet and the Elizabethan Trust Opera Company. In 1969 the Elizabethan Melbourne Orchestra was formed to help ease the growing touring demands of both companies. With initially just 32 players, the Orchestra’s repertoire grew extensively over the next decade. The Orchestra accompanied some of the world’s leading performers, including Rudolf Nureyev and Dame Joan Sutherland and worked with renowned conductors such as Richard Bonynge, Stuart Challender, Carlo Felice Cillario, Richard Divall and John Lanchbery. Throughout its history, the Orchestra has been synonymous with some of Victoria’s most significant cultural events. These include the much anticipated gala opening of Melbourne’s State Theatre at the Victorian Arts Centre in 1984 when the Orchestra performed The Sleeping Beauty with The Australian Ballet. The Orchestra played the very first seasons of the Victoria State Opera and the Australian Opera in the State Theatre in Melbourne. 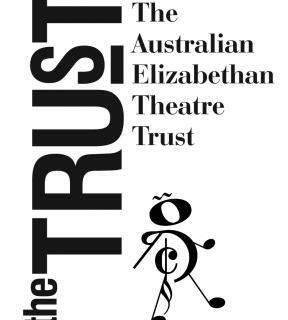 In 1986 ownership of the Elizabethan Melbourne Orchestra was transferred to the Victorian Arts Centre and the Orchestra name was changes to the State Orchestra of Victoria.